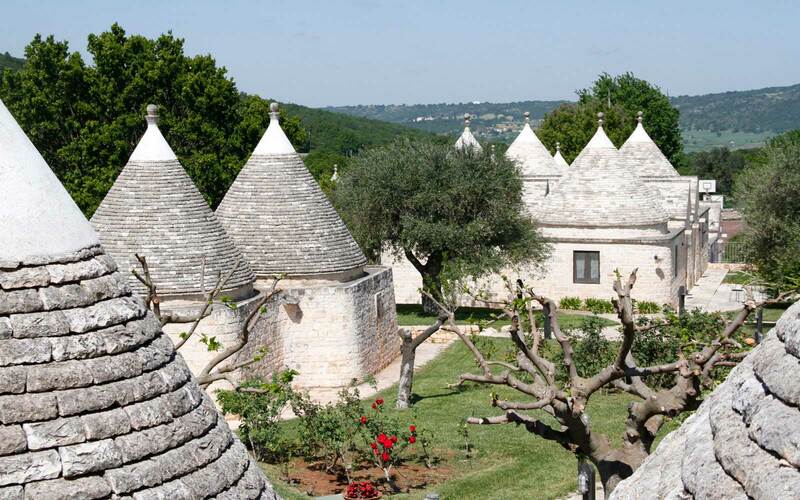 Set in a former village with olive groves and traditional stone buildings, Il Palmento is a fascinating 5-star Relais composed of 24 Trulli - built between 1780 and 1820. 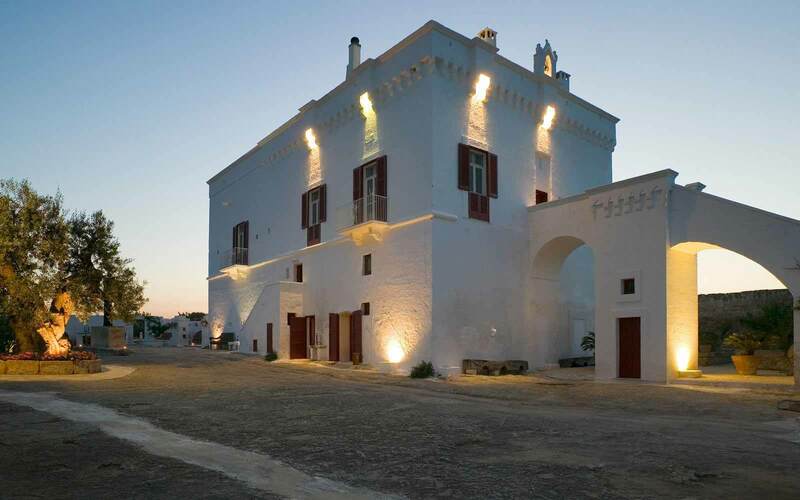 The property was restored under the supervision of the Apulian Tourism Department branch "Museums, cultural heritages and historical archives". 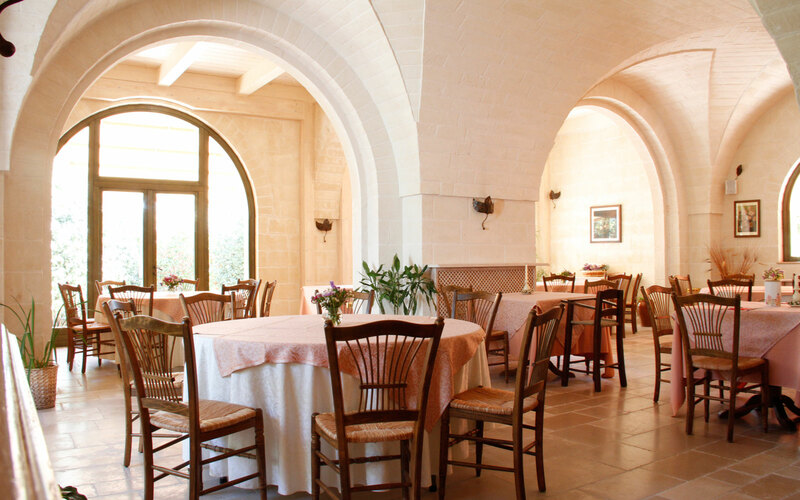 The Relais takes its name from the typical Trullo where, during the harvest, there was the pressing of grapes harvested in the vineyards of the village. 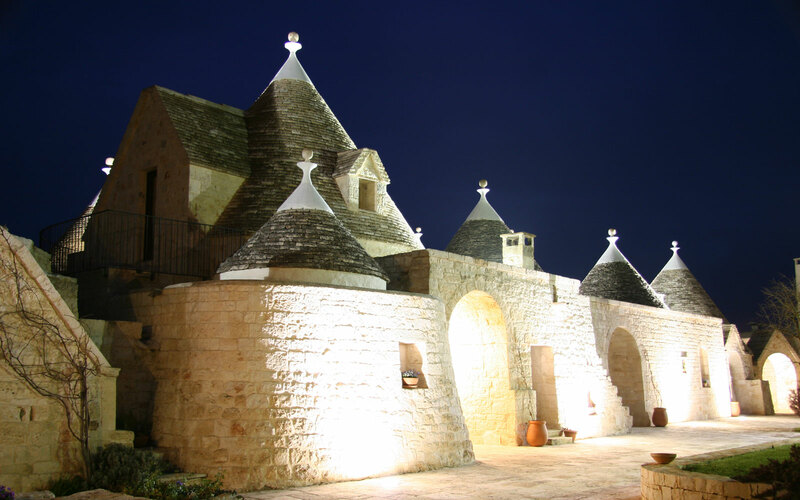 With the renovation of Il Palmento, a Club House was built with a bar where the tasting of local products (dairy, old, wines) are organised. 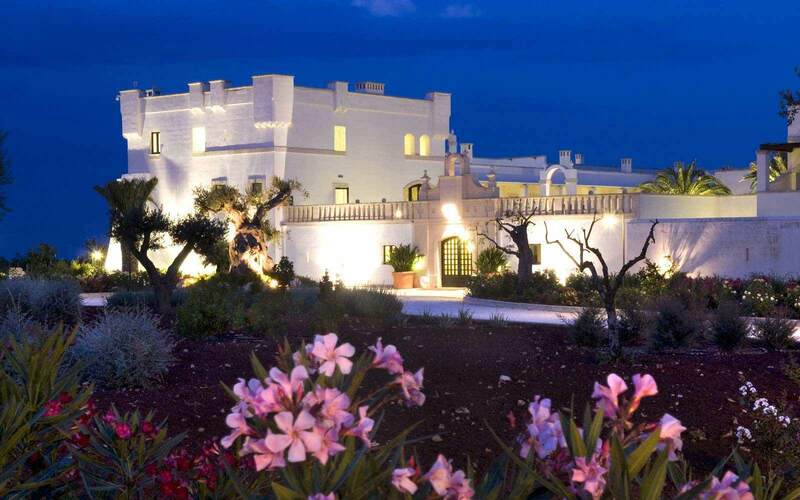 Il Palmento is equipped with a comfortable restaurant offering the delicious specialities of the Apulian cuisine, where the scents of the sea blend with the fresh tastes of vegatables, the extraordinary olive oil, the fragrance of the bread and the typical "orecchiette" noodles, accompanied by excellent wine. A poolside bar is also available. 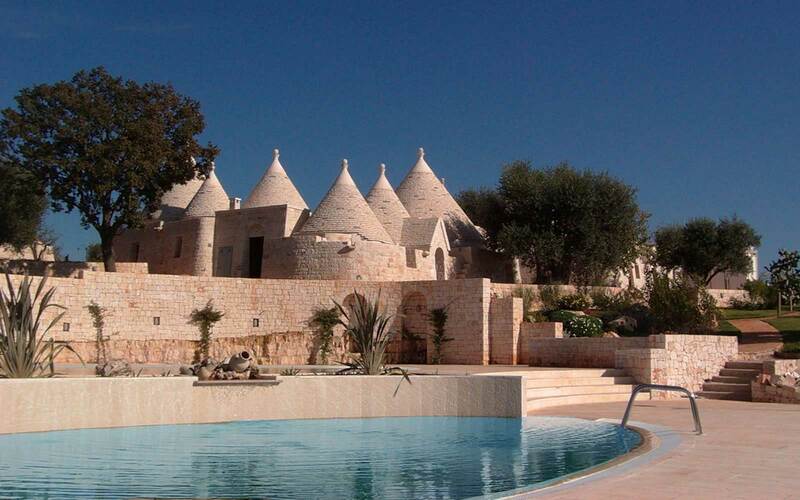 The Relais is equipped with an adult pool with a jacuzzi and a smaller childrens pool. 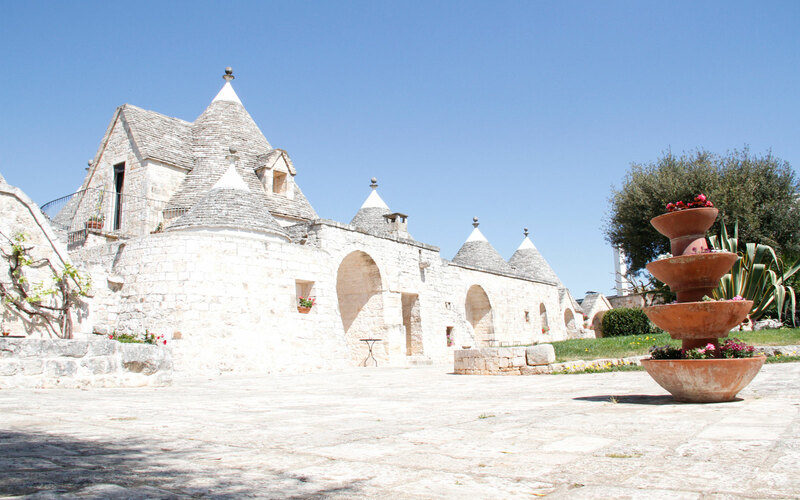 For beach lovers Il Palmento offers beach services in the areas of Torre Canne, Savelletri and Monopoli. 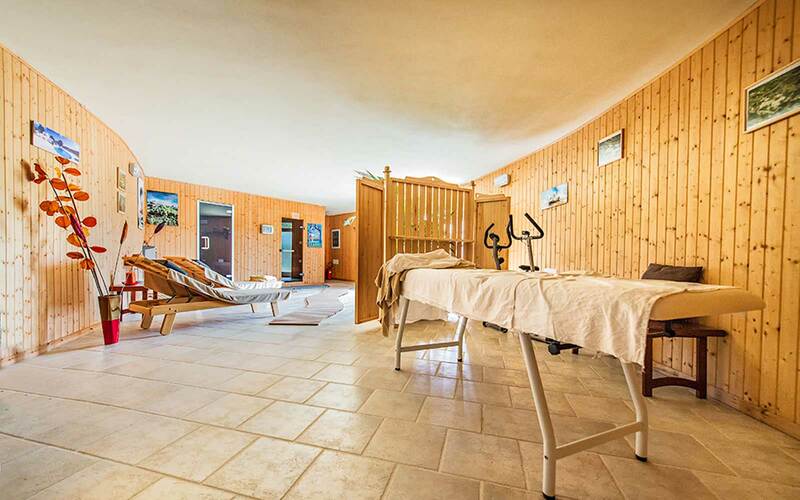 A wellness area is available featuring a sauna, Turkish bath and large solarium. Guests can partake in various events such as cooking classes, painting and ceramic classes, wine tasting, yoga and mountain biking. 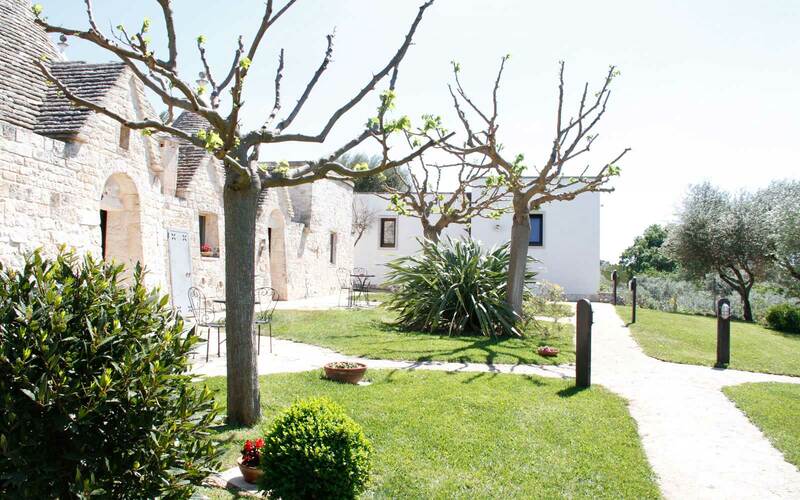 For those who want to be a little more active you can enjoy the relais' tennis, basketball and volleyball courts. 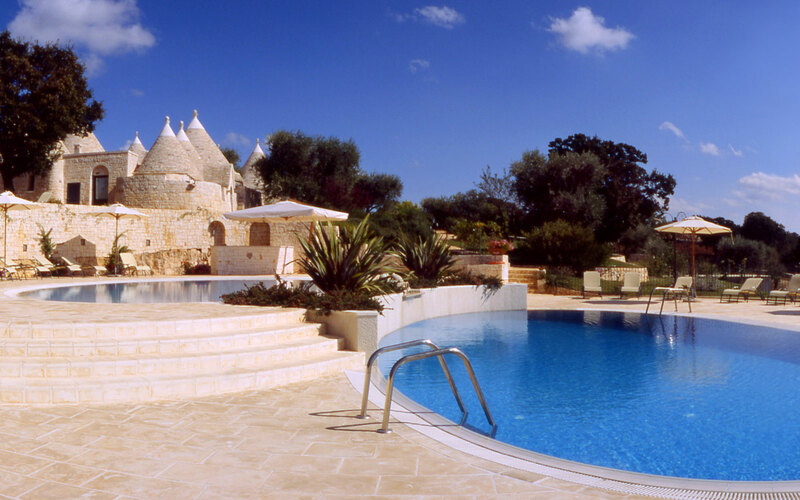 Trullo Junior Suite: The 12 Junior Suites are furnished with taste, care and refinement of detail. 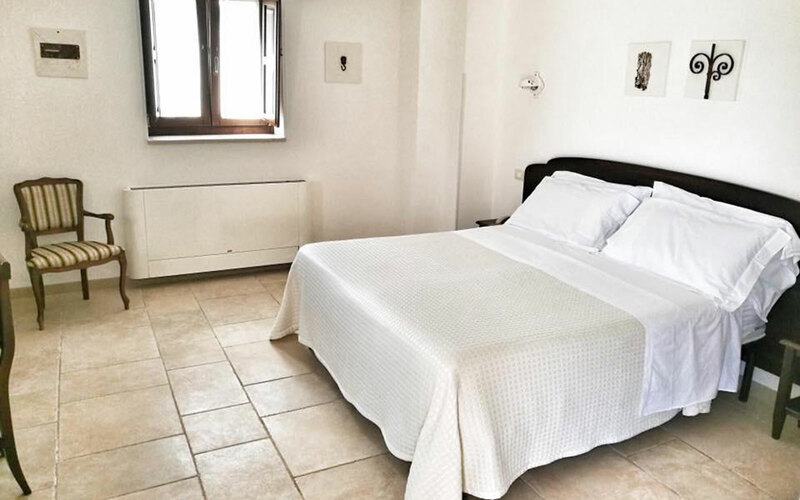 They are equipped with a private bathroom, satellite TV, safe and patio with table and chairs overlooking rose gardens and olive trees. 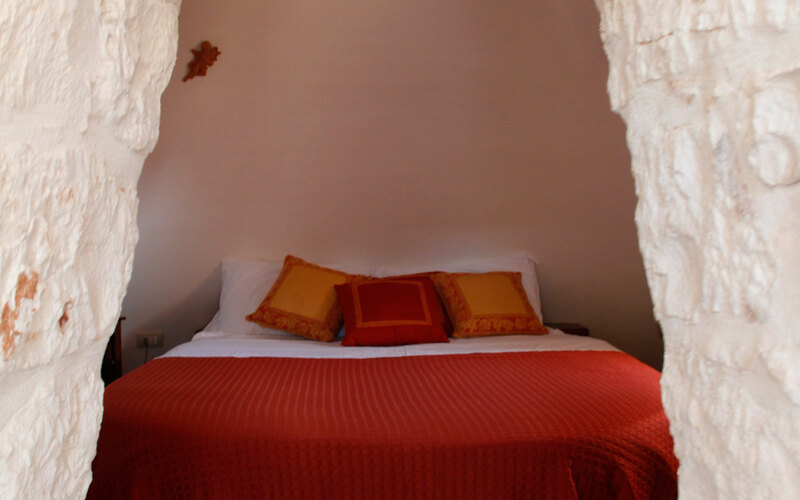 Trullo Suite: Il Palmento has 12 suites with 2 to 5 beds, tastefully furnished with extreme care and detail. 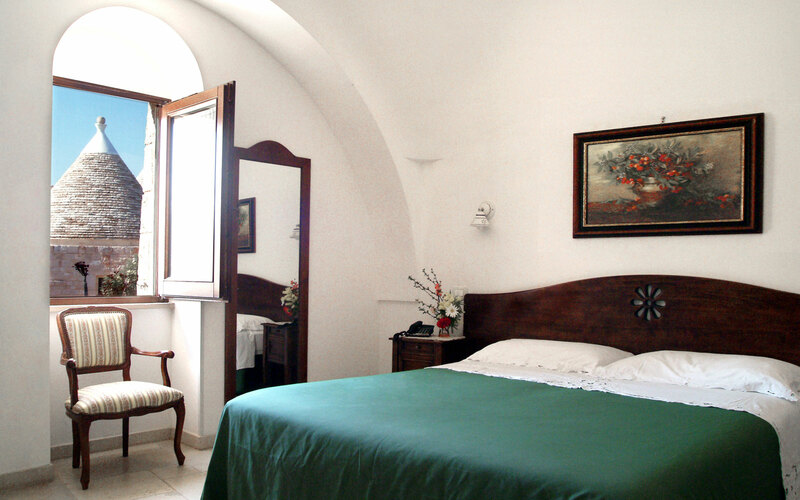 The suites are equipped with a private bathroom, satellite TV, safe, mini bar, heating and room service on request.